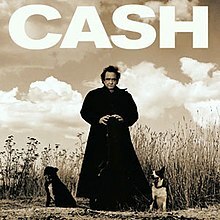 JOHNNY CASH: AMERICAN RECORDINGS: 1994: 5 STARS OUT OF 5 STARS: For nearly 20 years Johnny Cash’s career had been in decline not only commercially but critically. His late career signing with Rick Ruben and American Recordings would begin one of the great comeback’s in music history. Had his career ended in the direction it was going- his legacy was already complete but in my opinion the final decade of his life is my favorite Johnny Cash- the albums he did with American Recordings. They may not have given him hit singles but they returned him critically to the top. 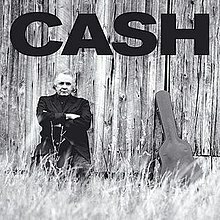 The album is Johnny Cash and his guitar and great material. It was his best album in decades. Of course The Dean of Rock Criticism Robert Christgau didn’t care for it! JOHNNY CASH: UNCHAINED: 1996: 4 1/2 STARS OUT OF 5 STARS: With the second American Recordings album Johnny Cash and Rick Ruben proved that the success of their first album together wasn’t a fluke. While this album doesn’t have the power of the debut it is another strong release. Cash would win a Grammy for Best Country Album and was nominated for Best Country Male Vocal Performance for his cover of Chris Cornell’s “Rusty Cage.” Not only does he cover Soundgarden but Beck, The Carter Family and Tom Petty & The Heartbreakers who also back him on the album. When I was growing up, I couldn’t get enough of Johnny Cash. Johnny Cash seems to be one of the few artists who was just universally liked. I know young people who would have no memory of him- who say they like him… he was certainly bigger than country music. American Icon..
Johnny Cash music represents an era in music with deep roots. There’s a documentary out there about him and the Carter family that’s excellent. It talks about how the songs were collected from the people in the mountains then brought to the cities and recorded. I will look for it- thanks. Anything concerning Johnny has to be worth seeing! Just went out to find the name. It is called, “The Winding Stream”. Hans, from another post, I did listen to World Party’s Goodbye Jumbo. Good stuff. Hoopla nor library has Willie Nile’s American Rule. I will listen to these two today if hoopla has them. Sounds like they need to be listened to. Your comments on Johnny are spot on, Hans. This is my first time here, is all the music you listen to like Johnny Cash? No- I pretty much like all types of music- in the last couple days just on a Johnny Cash kick. My range of music is a bit strange, maybe you could make sense of it if yours is equally spread out.